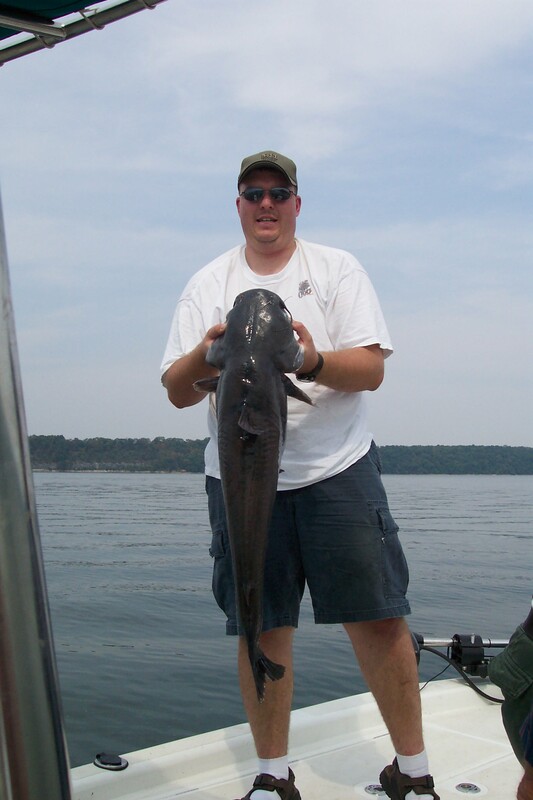 60, 000 acres of water spanning a distance of 60 miles in length, with 1300 miles of shoreline, fishing is in abundance. 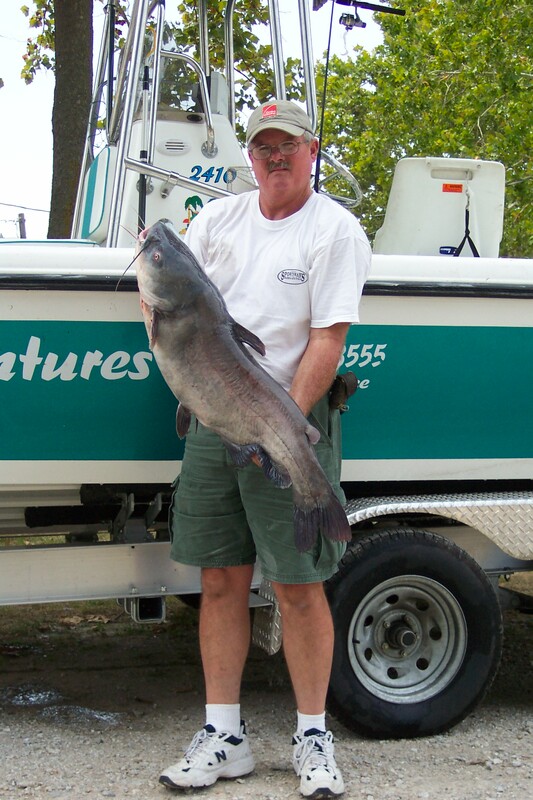 attractions for fishermen, with fish in the 35 to 70 pound range as an average. 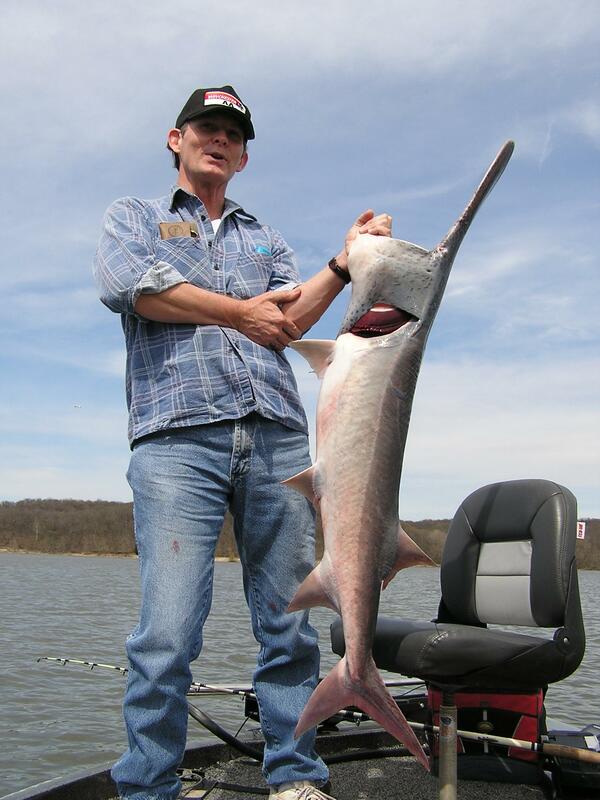 A man who loves to fish and hunt never gives up, this is your guide Ray Austin. 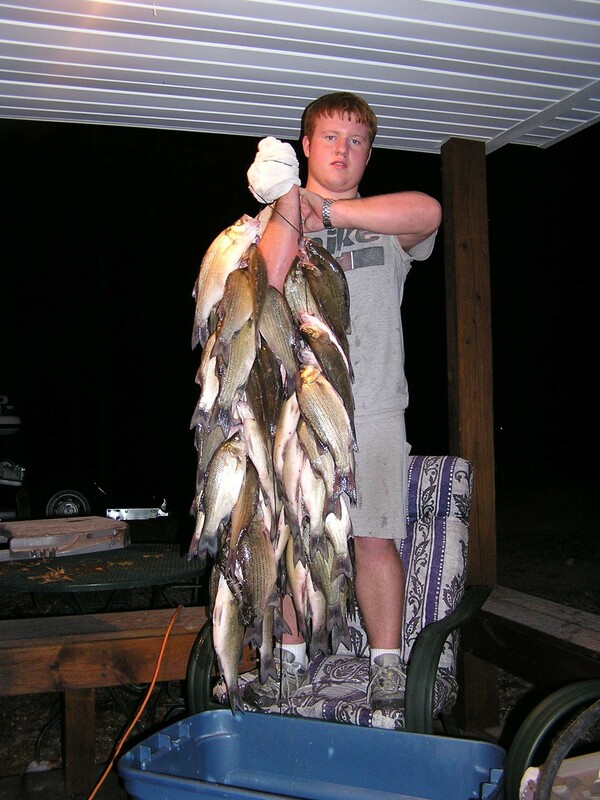 He has been fishing since he was old enough to hitch a ride on his fathers shoulders and carry the rods and reels while they went to their favorite fishing hole. 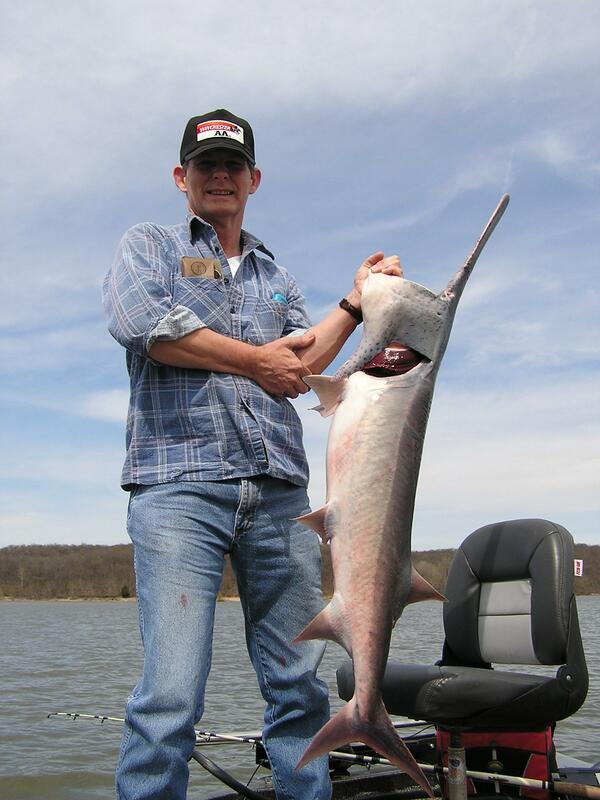 Nothing seems to stop Ray, even his hunting accident couldn't do it. 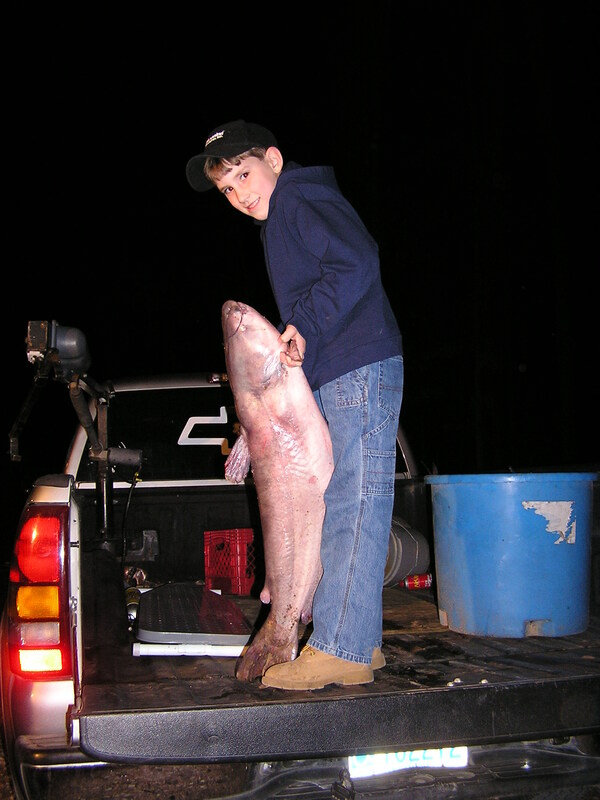 This tradition of going fishing, as a very little tike, has been passed on from father to son for generations. 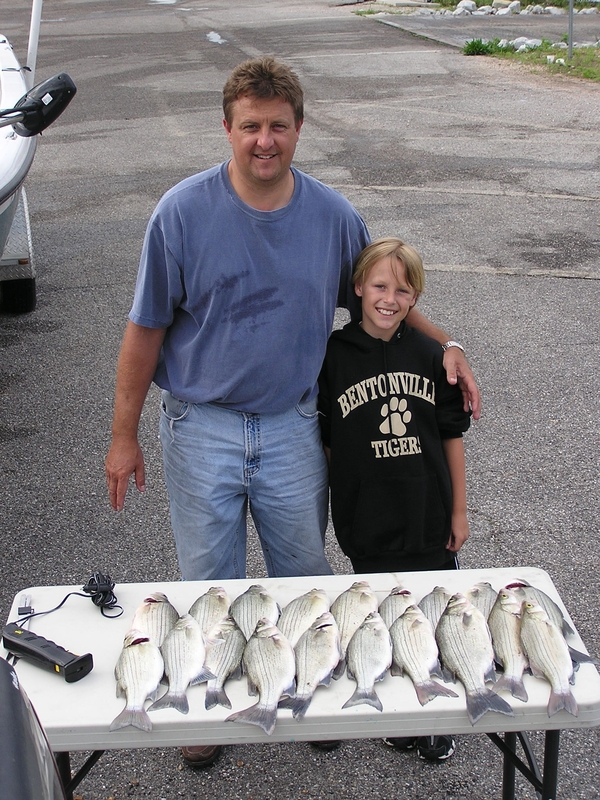 What 's the best way to spend quality time with your family, FISHING (fun, relaxation and time together). Sharon also loves to fish. 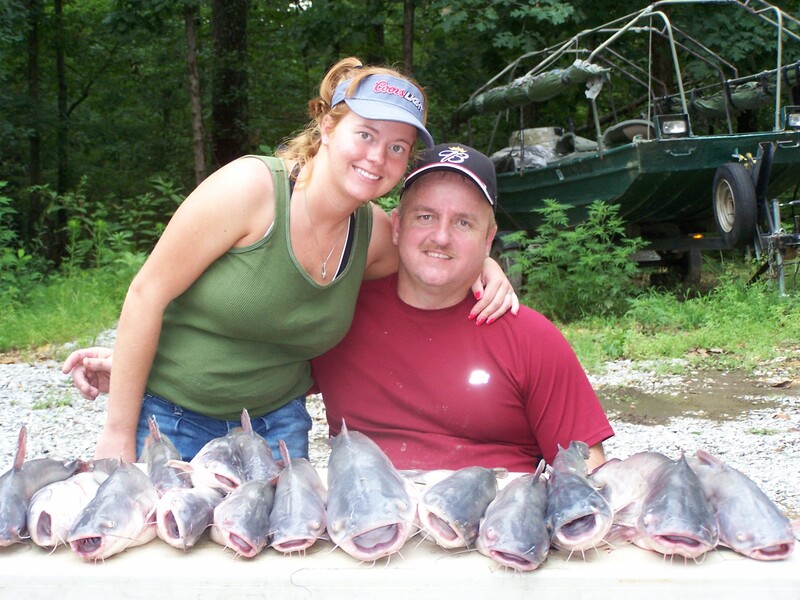 She completes the guiding team by assisting the customers on the boat with all your fishing needs. 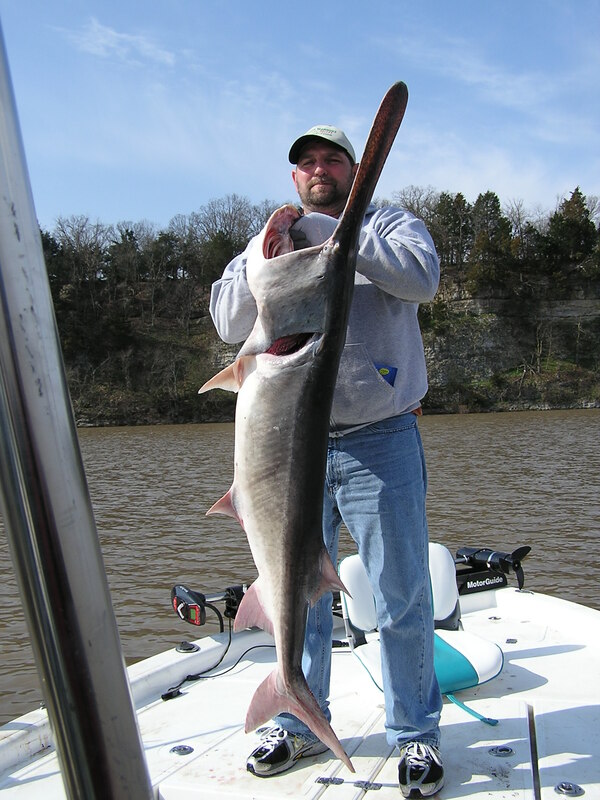 Ray and Sharon live in Belle Vista, Arkansas, but Grand Lake, Grove, Oklahoma is where their favorite fishing hole is for white sand bass, catfish and paddlefish spoonbill. 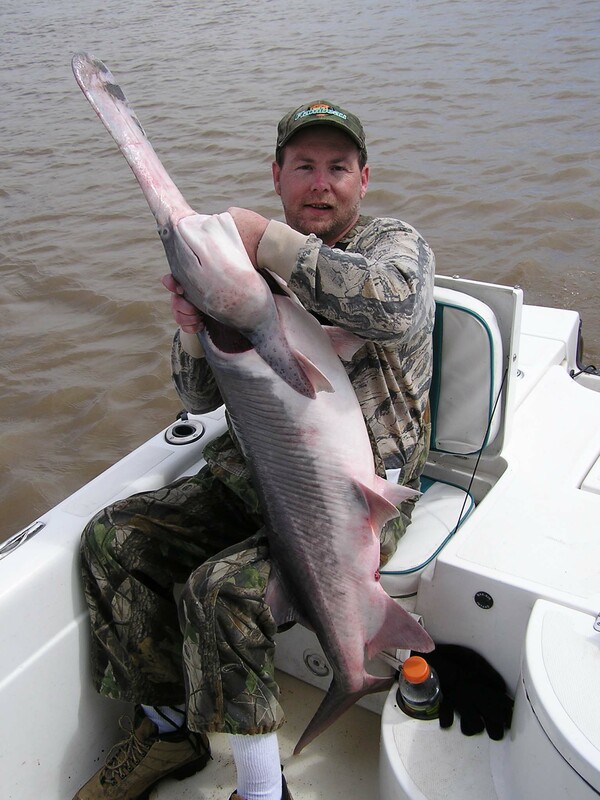 She is well experienced with each and every type of fish and everything that goes along with your fishing trip. Ray and Sharon can accommodate the disabled like no other guide. 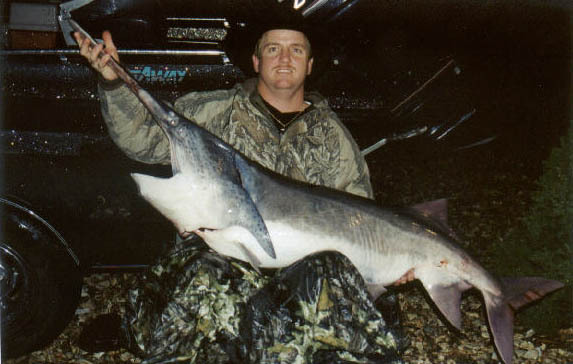 Ray has been disabled from a hunting accident since 1992. 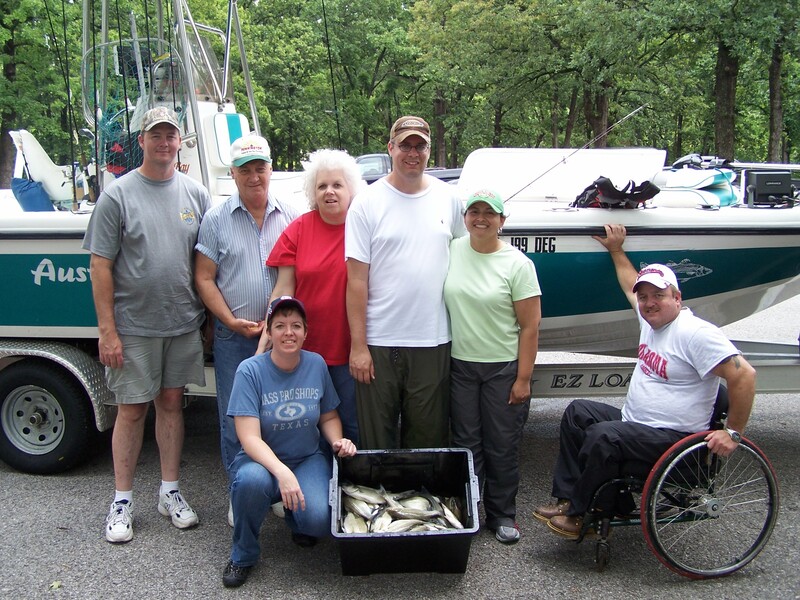 They have a customized wheelchair lift on the boat trailer that allows for safe and easy transfers. 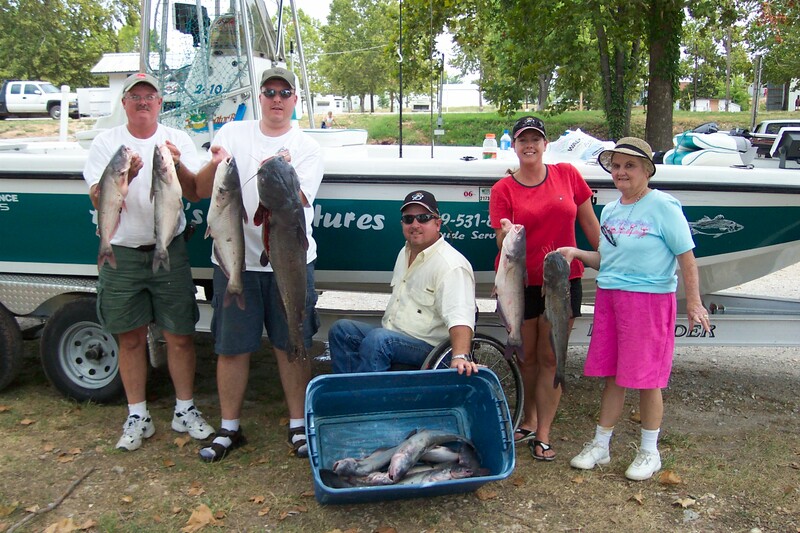 They understand special needs and will do everything possible to accommodate our special customers. 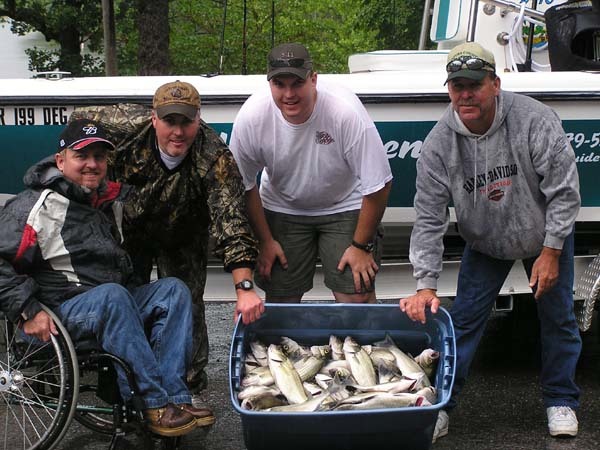 Come join us for a fun and productive fishing trip. We are family oriented but can accommodate corporate trips. Our trips average 4 to 6 hours. We are out on the lake to have a good time and catch fish. 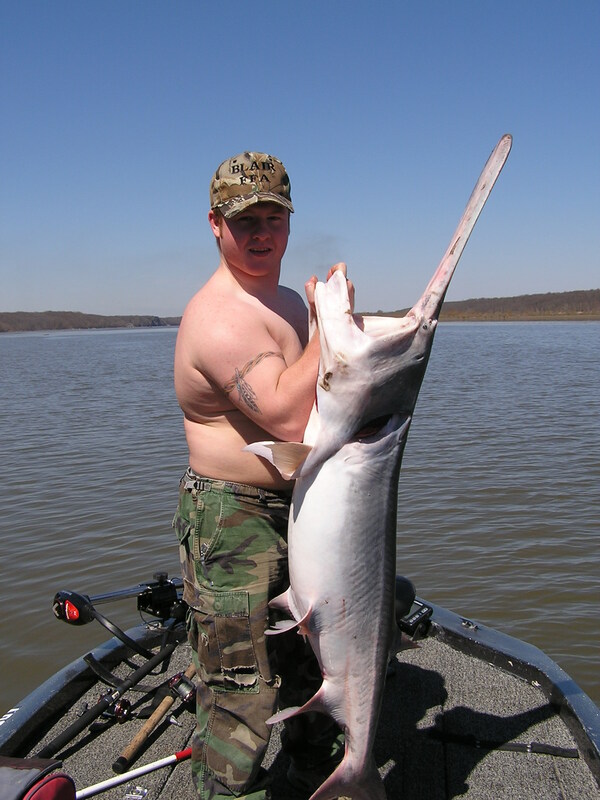 Oh, How we love fishing!! !